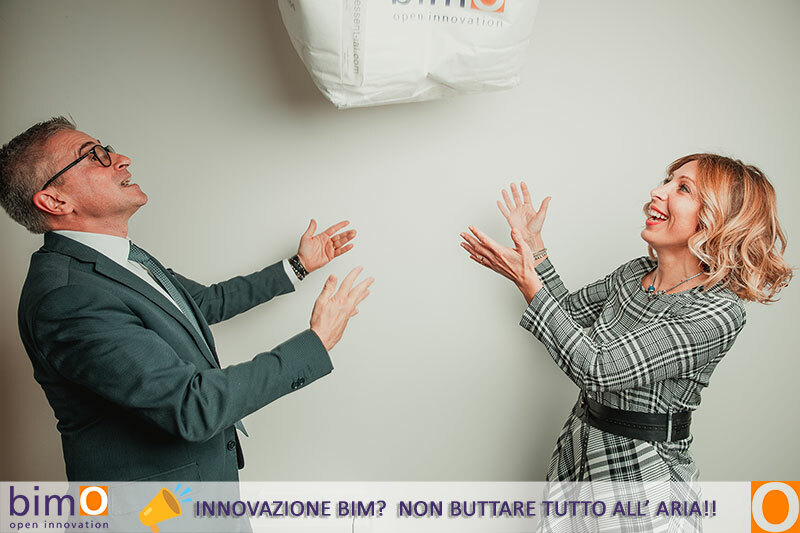 bimO – open innovation | INNOVATION BIM? DO NOT WALL ALL THE AIR! INNOVATION BIM? DO NOT WALL ALL THE AIR! The digitalization of the construction sector with the BIM introduction does not mean throwing away the professional skills and knowledge acquired with the traditional processes in the design, construction and management of buildings. Like all digital revolutions, BIM is a disruptive innovation, we can ignore it and postpone it, or accept the change unchanged and seize the extraordinary opportunities of digital transformation, which puts people back to rebuild processes by renewing the protagonists with the help of technologies and big data. bimO open innovation believes that this revolution is a great opportunity to ride change and become the protagonist of a transformation that will lead to a great competitive advantage.